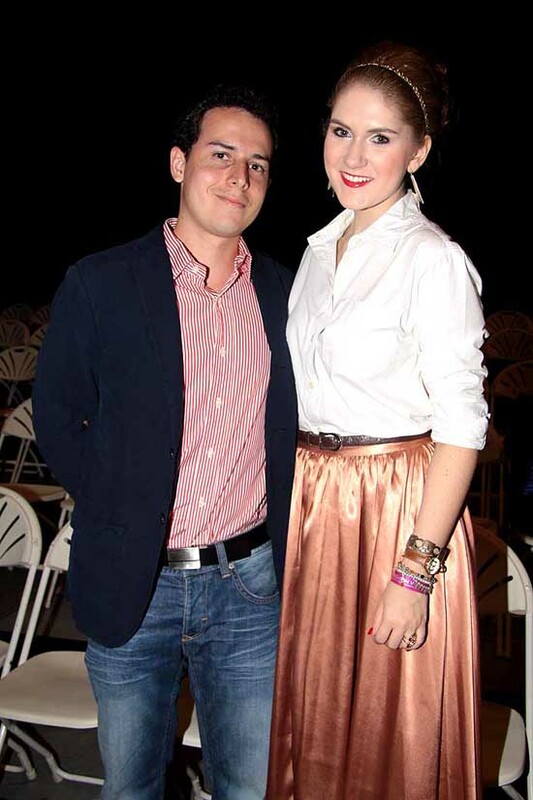 Today was the first day of Panama Fashion Week 2012! This is an event I look forward to aaaaaalll year. I had a hard time deciding what to wear to such a fashionable event, but in the end I went with this unique looking Asos skirt that moves beautifully when I walk. The event was amazing! I was completely overjoyed to be surrounded by people who eat, sleep, and breathe fashion like I do. I felt so inspired by how everyone dressed and presented themselves. I left the event feeling so happy and inspired to work harder on my blog. It is such a wonderful feeling to follow your passion and live out your dreams. A big thank you to my boyfriend Alejandro for going with me to the event (looking very handsome I might add), and taking all of my photos, love ya! BTW, take a look at this awesome video of the first day of Panama Fashion Week! I love how it captured both the fashion on the runway as well as the fashion in the audience. P.S. loved looking at the gorgeous shots from the show! 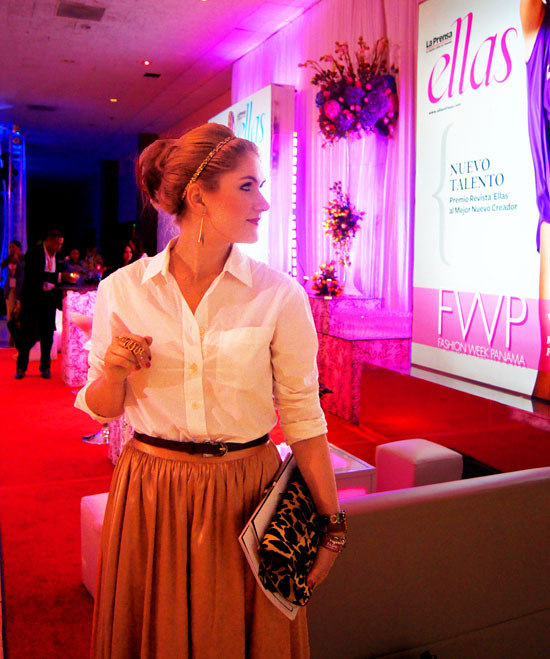 How awesome that you get to attend Panama's Fashion Week (I didn't even know they had one!). Looks like you managed to have a lot of fun with it, way to go boyfriend for accompanying you! You two are a smashing couple! And I think your outfit was a great choice! 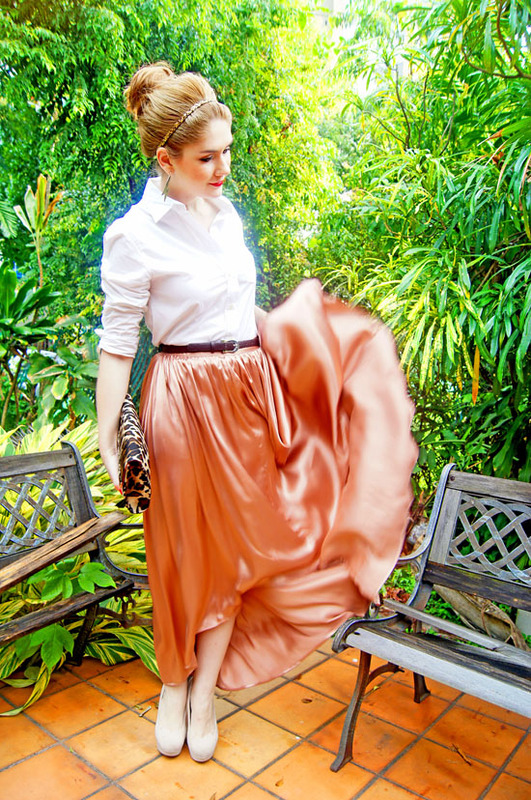 You simply cannot go wrong with a white button-up top, and that skirt is lovely! You look gorgeous ! i love your outfit. I also liked the video... every year i say i am going to go and then i just don´t... maybe in 2013. What a lovely skirt. <3 the clutch! Fashion Week looks like so much fun! I love your skirt and clutch! 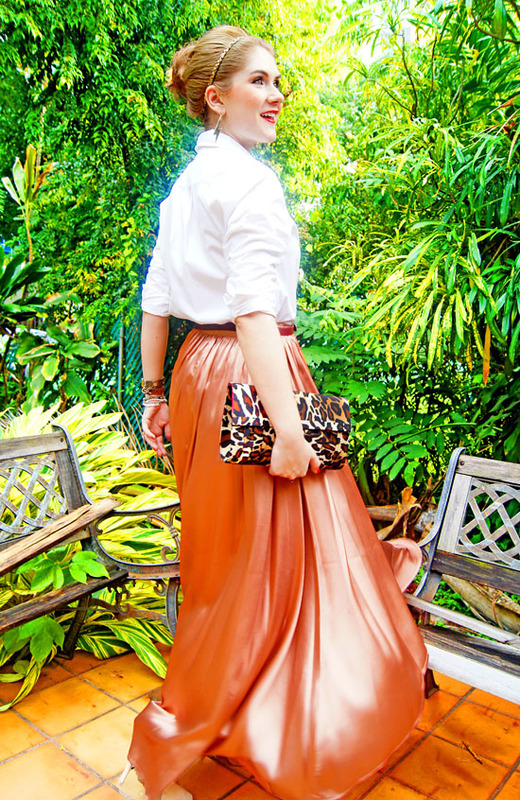 This skirt also looks like molten metal as it has a very bronze colour. I love how you wore it with a white shirt and kudos for wearing heels though you tower your bf in them. And kudos to your bf for not minding it. Such a perfect outfit for fashion week! It looks like you're having a blast. Love the photos you got of the runway fashion! beautiful skirt! It looks like liquid metal! i absolutely love the sheen on your skirt! it looks so glamorous without being overly shiny :) Looks and sounds like you had a fabulous time at Fashion Week! oh woww! What an amazing fashion show! Looks like you had an awesome time, my dear! 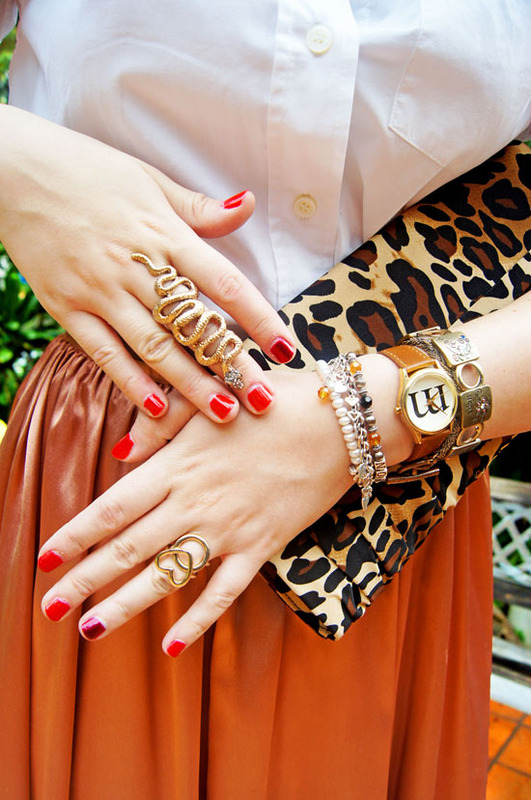 :D That flowy skirt of yours is fabulous, and I adore that you paired it with leopard. Pretty pretty! You look fabulous! I love that skirt. The designer show looks fun, her designs are gorgeous!